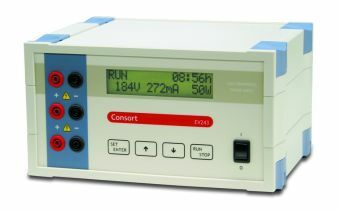 All Consort Maxi Series (EV200) Power Supplies except the EV243 have four output terminals to allow four simultaneous runs. Model EV243 Mini power supply has a smaller footprint and three output terminals. While the powerful microprocessor allows complex programming, the Manual mode permits the setting of voltage, current, power and time for a routine electrophoresis run. Parameters can be changed temporarily without interrupting the run. Programming - up to 9 different programs, each with 9 steps, can be stored in the non-volatile memory for future recall. can be set to automatically terminate the run and sound an alarm when the allocated time or volt hours has elapsed. 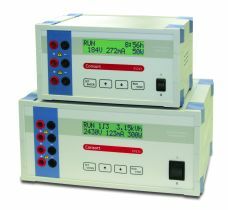 each model has constant voltage, constant current and constant power capabilities with automatic cross-over while showing which parameter is kept constant. Automatic recovery after mains failure - after restoration of power, the instrument will automatically continue the run for the remaining time. optional data acquisition/control software for PC is available to visualise and examine the stored run details, store and program the methods, add notes to the run, identify the unit, copy or delete programs in the unit s memory. This Consort Mini power supply covers the ideal voltage range generally used with small electrophoresis units. Small enough to occupy very little bench space, it is portable and has a variety of additional features. voltage, current and power settings can be adjusted during the run. this allows a linear voltage gradient for any step to be programmed. Automatic recovery after power failure. Data-logging, Transfer and Remote control. stores the run progression details and allows analysis by transfer of data to a PC. The power supply can additionally be controlled by a PC.